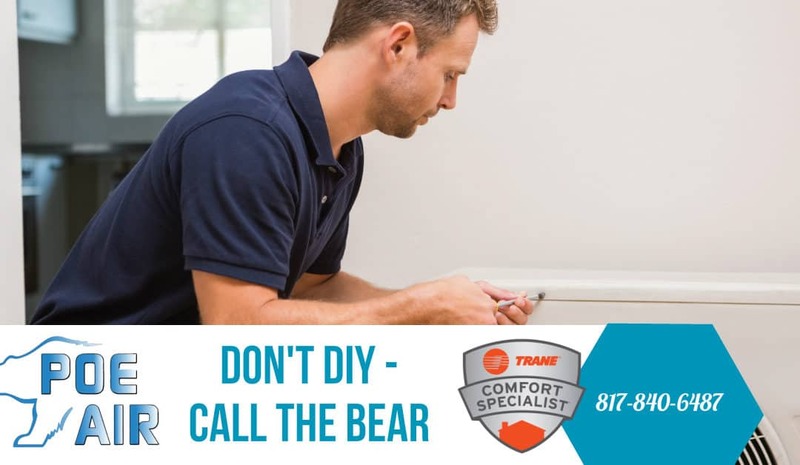 In the Fort Worth area, there are a multitude of homes and within those fort worth homes, there are a multitude of enthusiastic diy’ enthusiatsts too and that’s not often a great thing when it comes to the installation and maintenance of your AC System. While it might seem like an interesting idea to install your own AC unit, it’s not the best idea if you don’t have any relevant experience. You may end up saving a few bucks but you also risk accidents and install complications. You could damage your AC unit and waive your warranty and that would cost you far more in the long run. Installing an AC unit should always be performed by a licensed professional HVAC installer in Fort Worth. It’s not a DIY HVAC job. Here are some reasons why you should never install your own AC unit. The main reason installing an air conditioning unit is not your traditional weekend DIY job is that you don’t have profound knowledge about HVAC. Without that, it would be a blunder to try installing an AC unit or a heat pump, what may seem simple may end up disasterous in the long run. If you plan to do-it-yourself, it’s not a day’s work. You will have to first learn about air conditioning. Then you will need to acquire skills that you need to handle equipment and perform various HVAC jobs, which are part of the installation process. Think of it like a month in training and a week experimenting and exploring discarded units before you could confidently install a new unit. Licensed HVAC professionals have studied HVAC systems. They undergo training at least once a year. They have years of experience working with these systems. They know them inside out and therefore they will work as efficiently as possible. Although a lot of people think they can save money with a DIY AC installation job, it might end up costing more than hiring an HVAC professional. Even if you end up installing the system without any major damage, chances are good that it won’t be the most efficient installation. It could easily cost you a lot in the long run. Think of monthly energy costs. They will soar and you will pay a lot more in a few months than what an HVAC professional would have charged for installation services. When you hire a licensed HVAC professional, it saves you money in the long-run. A professional HVAC installer will examine your installation place and suggest the best possible system. Moreover, you won’t have any issues with ductwork. The overall efficiency of the project will bring down your energy bills and save you money. When you try to install your own AC unit instead of hiring professional AC services, you could end up damaging the AC unit and the wall where you are trying to install it. Drilling wrong holes is a common practice. Similarly, you could easily damage the AC unit when installing is another common DIY accident. Damage to the unit could easily void your warranty. It means you won’t be able to claim repairs and will have to actually pay for parts and repairing work the unit may require after your failed DIY attempt. When you hire an HVAC professional for AC unit installation, you save time and money. An HVAC professional will inspect your home, analyze the requirements, and advice about the best system for to address your requirements. Don’t make the mistake that many have made in the past, if and when you are looking to install a new AC system or even repair your system, don’t become another statistic in our wonderful Fort Worth. No disrespect to our DIY’ERS, but there is a reason that we have had to go through so much training and why we stand by our work. Save money in the long run, think about it, before you get out your screw driver. We have so much interchangeable weather here in Texas and so we want to make sure all our customers in the Fort Worth Area remain in comfort when the weather changes come and often so rapidly.